Heidi A. Carpenter | Fafinski Mark & Johnson, P.A. Heidi A. Carpenter is a commercial attorney focusing her practice on providing counsel to investors, start-up companies, and closely held businesses of all sizes with business, corporate, transactional and employment law matters. 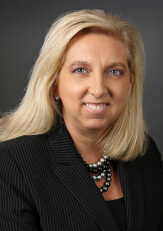 Heidi has over 16 years of experience providing general counsel assistance to companies and their owners. In the area of mergers and acquisitions, Heidi is a formidable negotiator, having negotiated mergers, acquisitions and other multi-million dollar deals, with her largest transaction to date valued in excess of $215 million. Heidi represents bidders, targets, financial advisors and bankers in structuring, negotiating and closing mergers, acquisitions, recapitalizations, leverage buyouts and other restructurings. In the area of employment law, Heidi assists employers in the handling of all areas of employment and HR matters, with an eye toward preventing potential litigation. Heidi has experience providing HR professionals and business owners with personnel policies and strategies related to discrimination, harassment, non-compete, trademark and intellectual property protection, employee benefits, employment and contractor agreements, hiring and firing procedures, and employment law compliance. An experienced and fine-tuned drafter, she is particularly adept in drafting compensation plans and agreements, employment policies and non-qualified plans. Heidi has repeatedly been recognized by her peers as one of Minnesota’s “Rising Stars” in the legal profession and has been named a “Super Lawyer” since 2014 – an honor given to only the top lawyers in Minnesota. Represented Northern Tool + Equipment in its purchase of The Sportsman’s Guide and The Golf Warehouse for $215 million. Represented privately-held print media placement company by large public company for $180 million. Represented commercial healthcare development company in sale to a national real estate trust for $110 million. Represented U.S. investors in loan transactions in excess of $60 million with large European hedge fund for the purchase and operation of casino gaming machines in Mexico. Represented founder of privately-held fitness franchisor in minority stock sale to private equity fund for $40 million. Represented privately-held steel distribution and processing center in sale of equity interests to large public company for $30.5 million. Represented private investors in acquisition of international manufacturer of thermal processing and environmental simulation equipment for $24.2 million. Represented international manufacturing facility in securing $24 million commercial and export credit facility from commercial bank. Represented purchasers in stock acquisition of a national insurance and underwriting company from a grocery conglomerate for $12.7 million. Represented shareholder group in asset sale of national, commercial pork production operation to private investors. Represented regional bank in series of multi-million dollar loan transactions for construction of various railroad lodging facilities across the U.S. Represented venture capitalists in stock acquisition of largest, privately-held sign manufacturing company in Minnesota. Heidi and her husband are busy raising three daughters who keep them laughing and attending tennis and golf matches, show choir concerts, and musicals. In her remaining free time, Heidi enjoys reading, fundraising for her children’s school, cheering for Wisconsin sports teams, and catching up with friends at home.